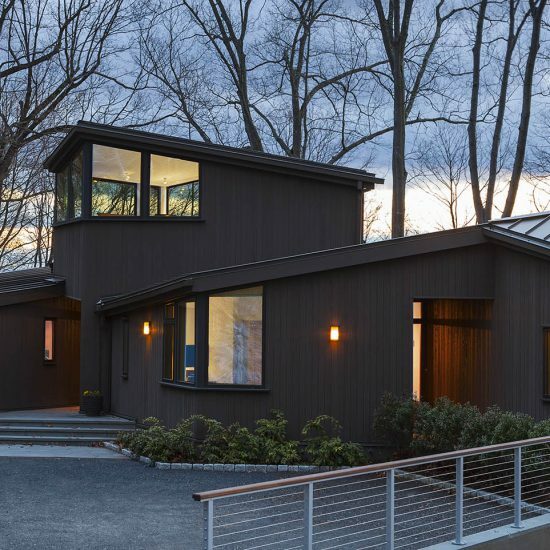 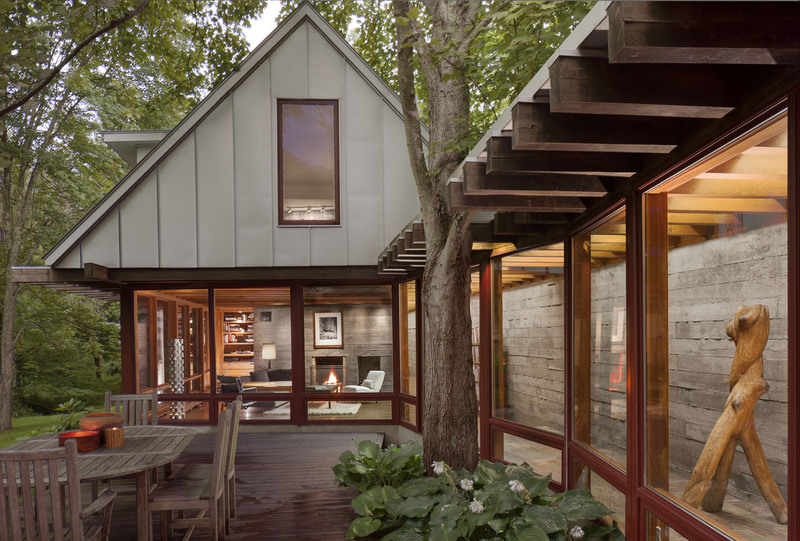 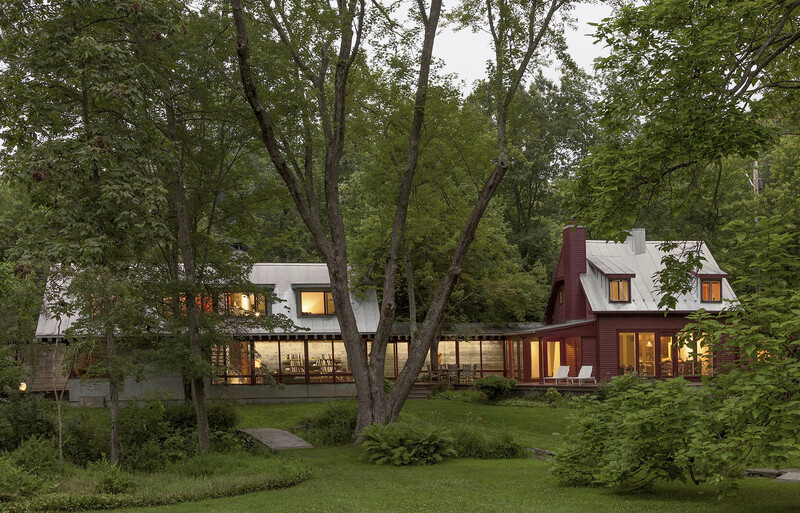 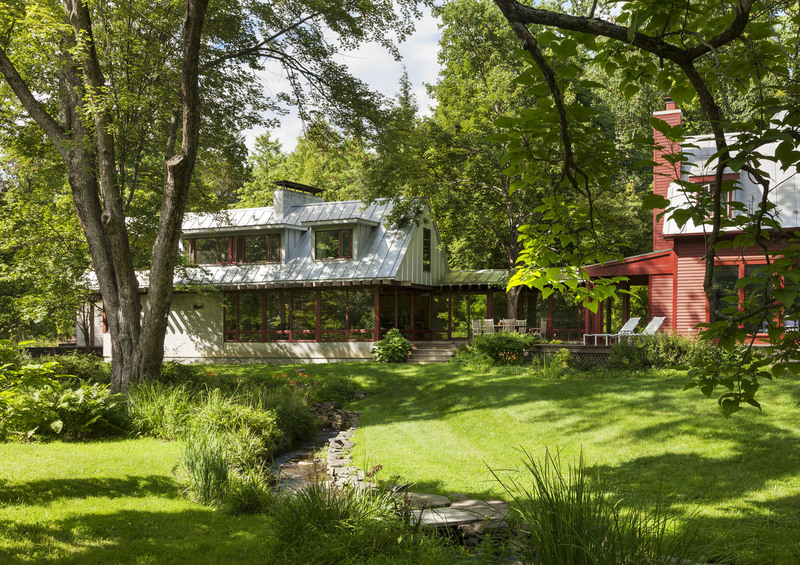 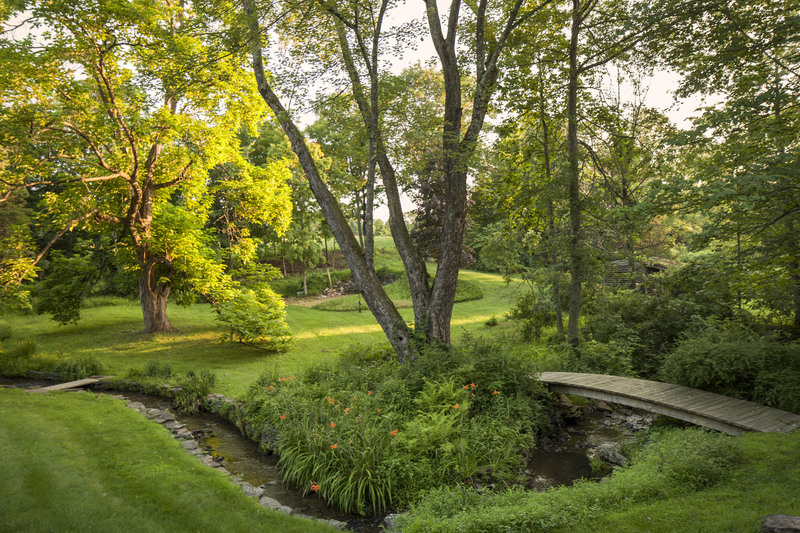 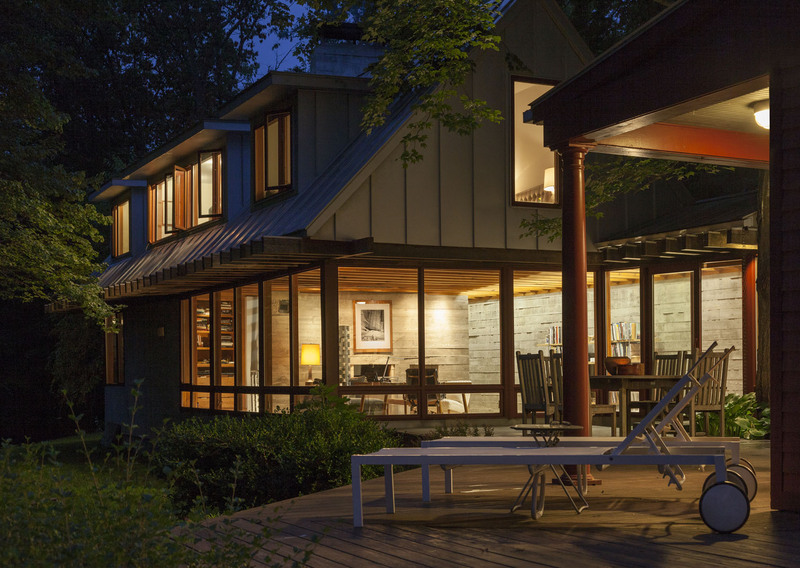 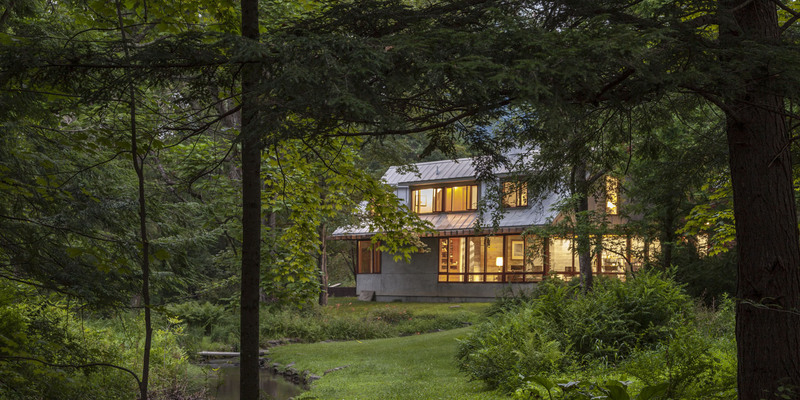 This addition to an existing cottage in New Paltz is set into a two acre garden featuring a natural stream and extensive plantings. 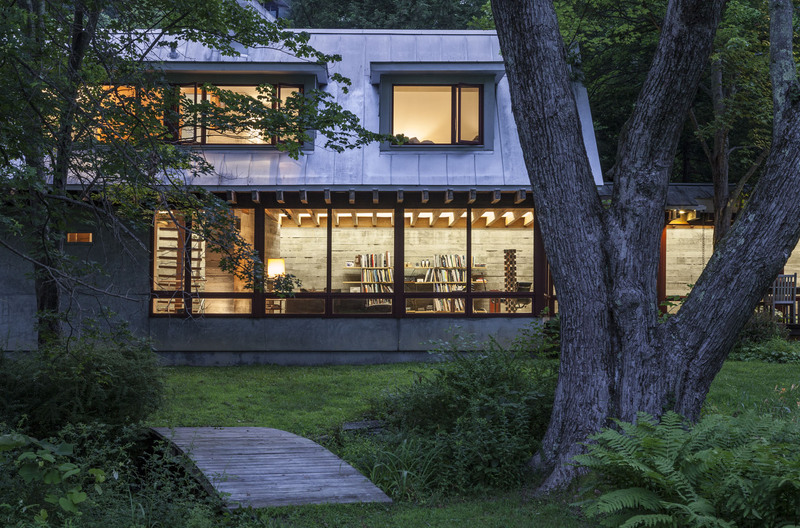 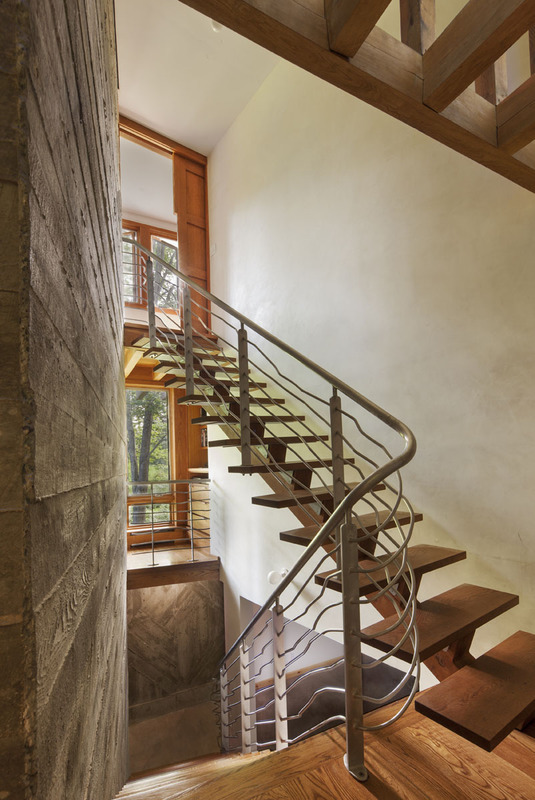 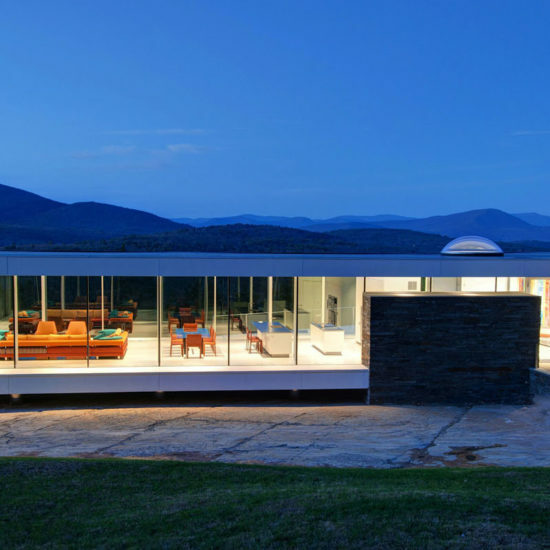 The house is built into the hillside and uses the poured, board-formed concrete retaining wall as its most prominent feature. 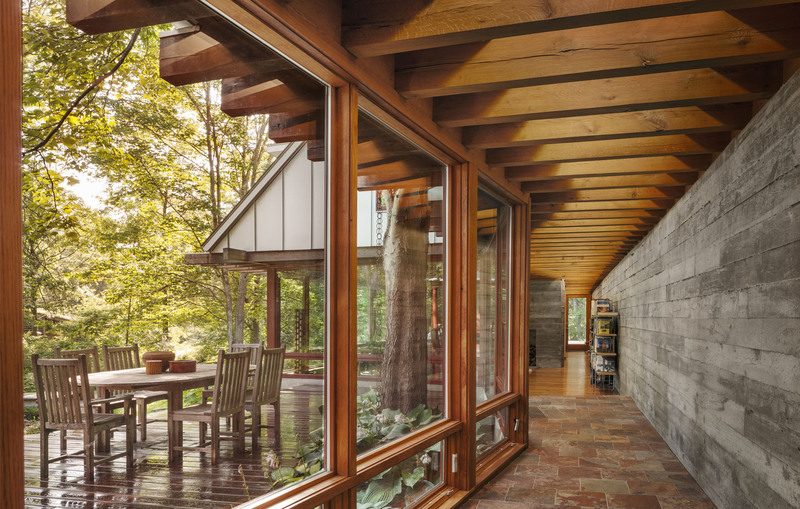 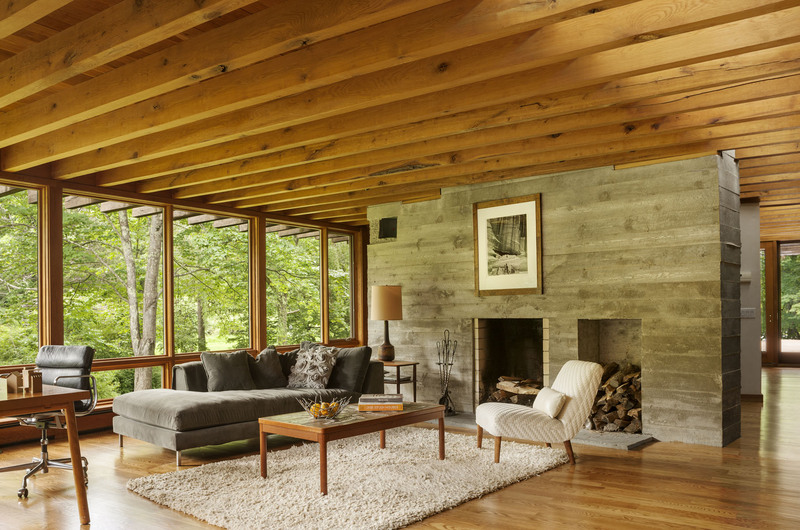 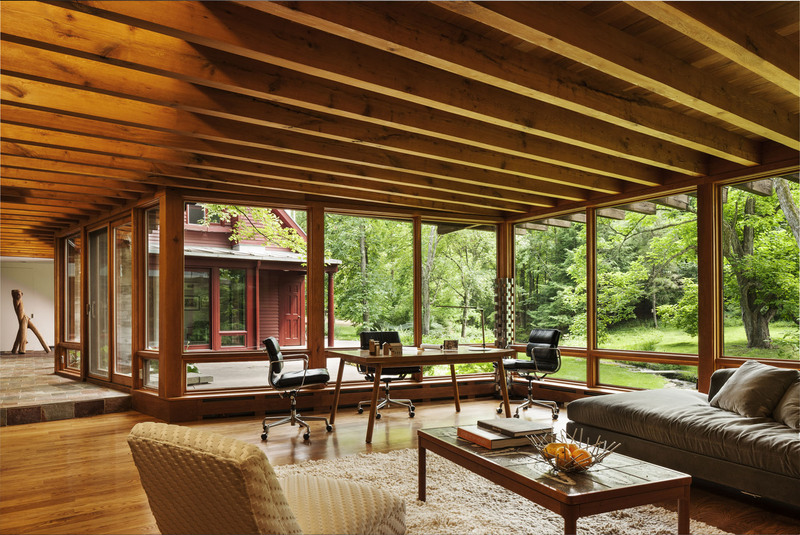 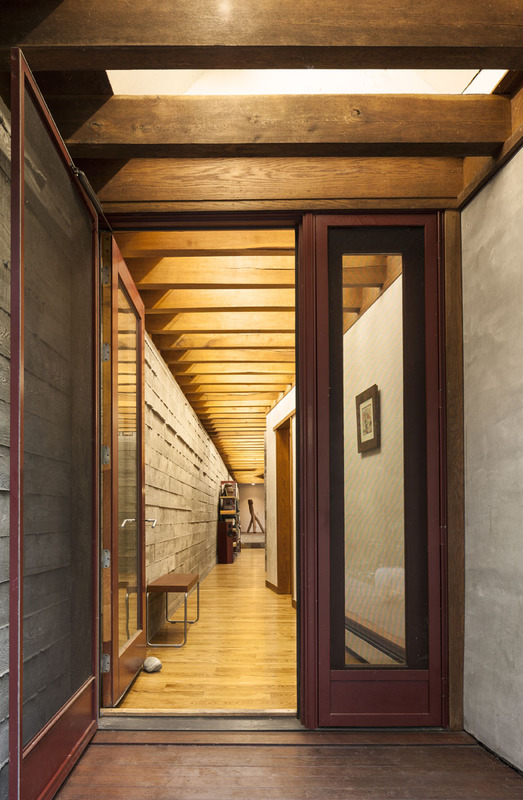 Locally hand-sawn oak beams and other green building strategies are used throughout.